The Or Yehuda excavation was expedited in 2009 under the direction of Nissim Golding-Meir, following test excavations by the Israel Antiquities Authority (IAA) prior to construction work. 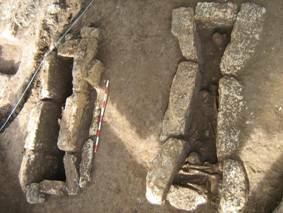 A total of ten graves were excavated in two areas (two graves in Area A1, eight in Area A2). The human bones were almost totally unrecognizable due to damp conditions and disturbance in antiquity. Therefore no anthropological data is available. The finds from Area A2 included eight glass cosmetic vials, 13 glass bracelets and other jewelry, beads, pins, a bronze cross, a seal and a miniature bell. Several lamp fragments and one complete lamp were recovered, providing a date of the late Byzantine-Early Islamic period. The artifacts from two of the peripheral tombs appear to have belonged to women. The bronze cross indicates a Christian population. 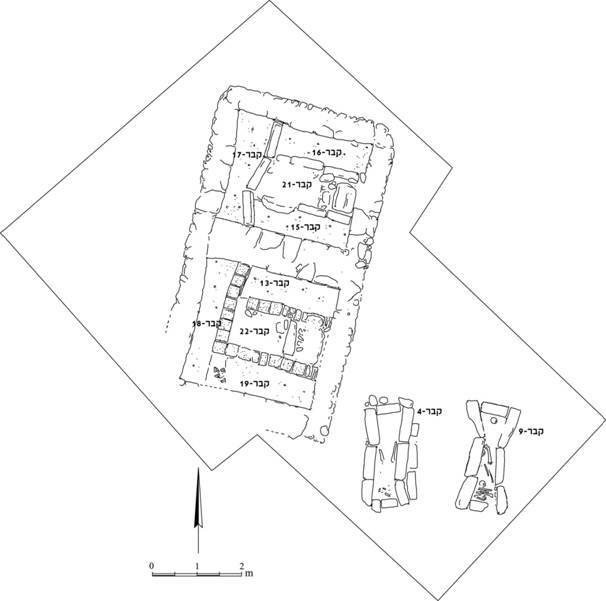 The two tombs in Area A1 represent a later, probably Early Islamic phase. These were cist tombs built of stones taken from the earlier cemetery. Only sherds were found accompanying the human remains—probably poured in with the sand placed over and in the burials. The burials are oriented north-south, suggesting the likelihood that these were Muslims. 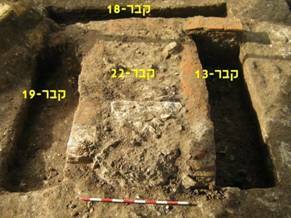 The Or Yehuda excavation was stopped due to haredi (ultra-Orthodox Jews) pressure before our work could be completed. Both the excavated and non-excavated tombs were backfilled by the IAA and construction was authorized.